A lot has happened in the past month since my last blog post. I was a guest on a podcast, I deadlifted 295 pounds at the gym and I signed a contract for my first real job. As of the beginning of the month, I am the marketing coordinator at Northern Michigan University, in the marketing and communications office. I’m still doing a lot of the things that I was doing as a graduate assistant, but on a much bigger and broader scale. Since it’s the end of another year, and the start of a new chapter in my life, I think it’s a perfect time to reflect on how different my life is now, than what I imagined it was going to be two years ago. As many people do, my start in student affairs began through housing as a resident advisor. Although it was sometimes stressful, I loved everything about my job as a RA. I loved the laughter and the tears, I loved the friendships and I even loved the late-night wakeups (most of the time). So, when the time came to figure out what I was going to do when I graduated with my bachelor’s degree, student affairs seemed like a perfect fit and housing was my obvious first choice. I could get my master’s degree, have a place to live, and still do what I loved. I mean really, how could I beat it?! Well, as life plans have a tendency to do, my plan crumbled faster than a dog biscuit left alone with Sasha. After a hectic semester of job hunting and interviews, I was getting ready to graduate with a degree but no job or even job prospects. I found myself jobless and moving back in with my parents, with my box full of door dec supplies in tow. My mini-saga continues after this, but the reason I’m writing this is not so the entire Internet can feel bad for me. In fact, it’s just the opposite. I’m writing this because after some reflection, I want to share my experience for all of those people who ended up like me—passionate about student affairs, but with all of their carefully prepared plans in ashes at their feet. I know how hard it is to listen to everyone around you tell you that “it’s going to be okay” and “ everything will work out in the end.” I know how hard it is to have faith in the idea of “everything happens for a reason” when you feel jilted out of the path you’ve put your heart and soul into trying to achieve. I know how terrible you feel when you don’t end up where you thought you would be. From where I am today, not getting a resident director job was probably the best thing that could have happened for me, at that point in my life. In the process of being the best RA ever, I had lost myself. I was burned out (which I hadn’t realized), I had lost the parts of me that made me love student affairs, and the parts of me that were necessary for me to stay sane if I was going to continue in the hectic world of student affairs. 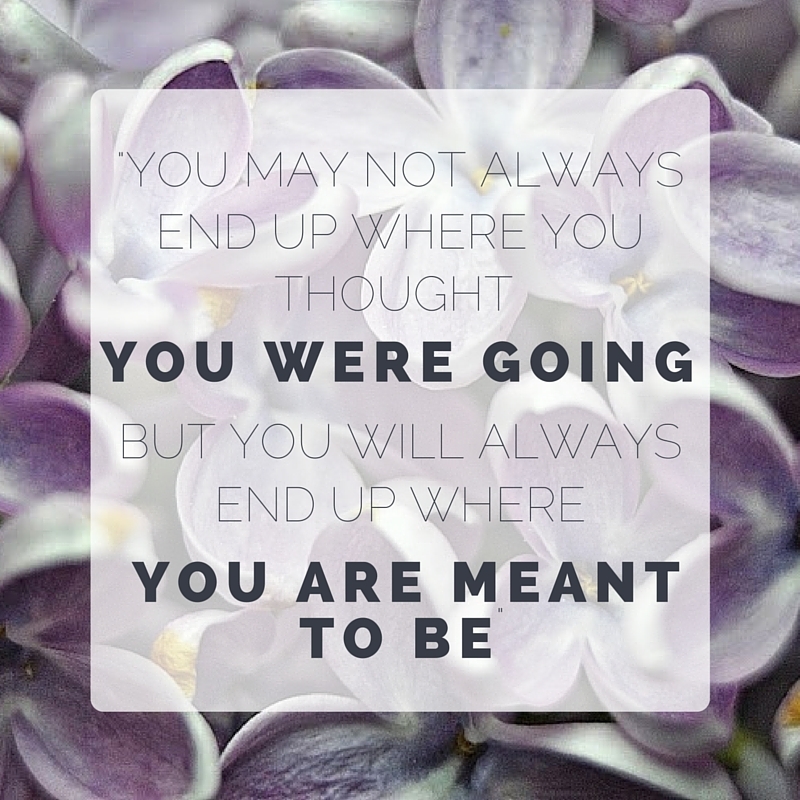 So as hard as it was at the time to believe in the idea that “everything will work out in the end”, I now know that it is true because I ended up where I was meant to be. I again feel that sense of relief that being an RA once gave me, that feeling I’ve been actively searching for since I left housing. I’m excited to go to work every morning, and I am excited to explore the new opportunities in front of me. I’ve found the perfect spot to engage my plethora of passions while still being able to be actively involved in the lives of students. Though my title seems removed, it actually allows me to be involved in almost every aspect of campus, from student services and admissions to academics and working on enrollment initiatives. It lets me fill the part of myself that loves having a schedule, but also the part of me that thrives on change. So that’s my journey. It certainly wasn’t picture perfect, but somehow I’ve been able get a better understanding of myself, and how to cultivate my passion for student affairs. I have spent the past year and a half working on making my “dream” of working in student affairs a reality. So, while I didn’t end up in housing, I’ve found an even better way for me to fulfill my dreams and be who I am meant to be.